Superdry men’s Oslo Racer crew neck jumper. 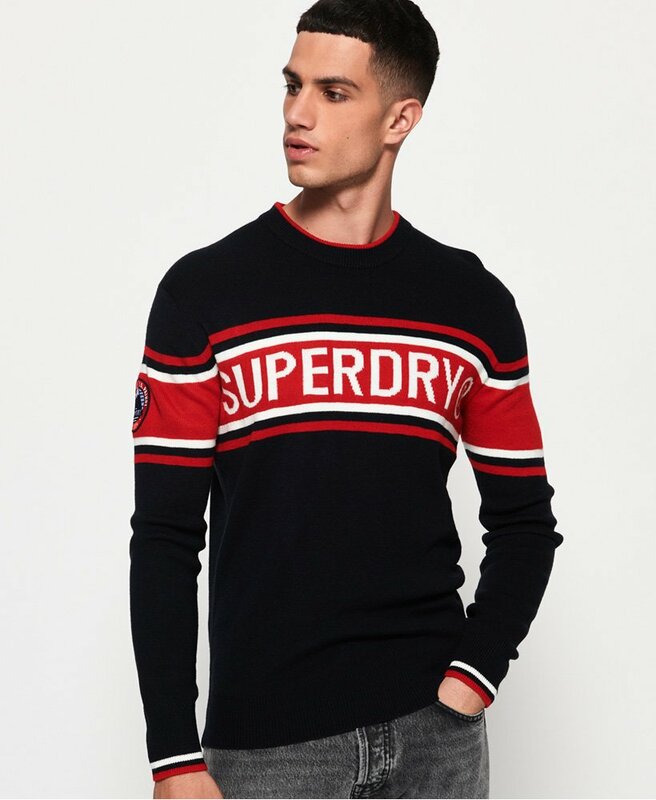 This lightweight jumper is the perfect transitional wardrobe piece and features a Superdry logo across the chest, stripe detailing and an applique Superdry logo on the arm. Finish off the look with a pair of our slim jeans.